Hong Kong-listed H&H Group plans to launch its infant-formula brand Biostime in Australia in the new year. Two products are due to roll out in January: Biostime SN-2 Bio Plus, a premium organic toddler milk drink, and Biostime Infant Probiotics with vitamin D. Stockists will include Chemist Warehouse, Pharmacy for Less and Good Price Pharmacy. Founded in 1999, H&H Group already has operations in Australia, as well as France, China and the US, along with additional teams in the Netherlands, the UK, Italy, Singapore, Switzerland, New Zealand and Ireland. 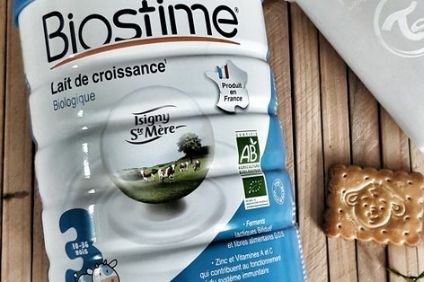 Biostime milk is sourced from organic farms within the Isigny Sainte-Mere dairy cooperative, located in Normandy, France. Australia is a major player in the infant-formula market, and is home to manufacturers such as A2 Milk Co., Bubs Australia, Bellamy's Australia, and Wattle Health Australia. Severine Brichard, H&H's global marketing director, said: "The Biostime launch into the Australian market is in response to the genuine need from Australian consumers for premium nutrition for children. As a global leader in paediatric nutrition, Biostime recognises the complex world of parenting and its challenges, especially when it comes to nutrition. "Understandably, Australian parents only want the best for their children and are looking for products that are highly natural, but still contain nutrition through scientifically verified ingredients." Other products within H&H's portfolio include probiotic supplements for children, vitamins, baby and children's food, baby-care products, and skincare products.